Experts spoke of boiling oceans and Venus-like atmospheres caused by humans use of fossil fuels. At the heart of these soon-to-be catastrophic climate disasters was runaway and tipping point warming - hotter and hotter temperatures that kept ratcheting up. It didn't happen, though. As the above map of extreme temperatures documents, the last 3+ decades did not produce the cascading, record-setting temperature scenario. When one connects the dots, the predictions of CO2 causing extreme climate change are without empirical evidence merit. 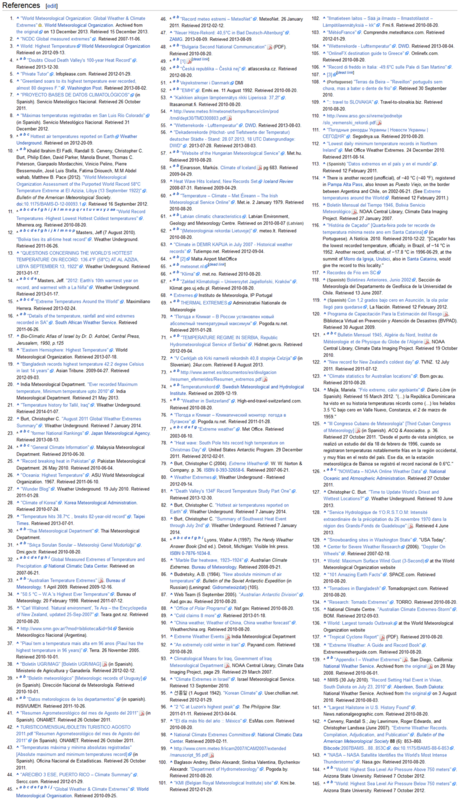 References used by Wikipedia to compile their list of continent records. Download PDF of Wikipedia web page used for temperatures on world map. Mapquest is source of map image.